6380 Oisin Court Dublin, OH. | MLS# 219011307 | Dublin, Powell, and Southwest Delaware County Ohio real estate experts! Find homes For Sale in Dublin, Powell, Upper Arlington, and Worthington. 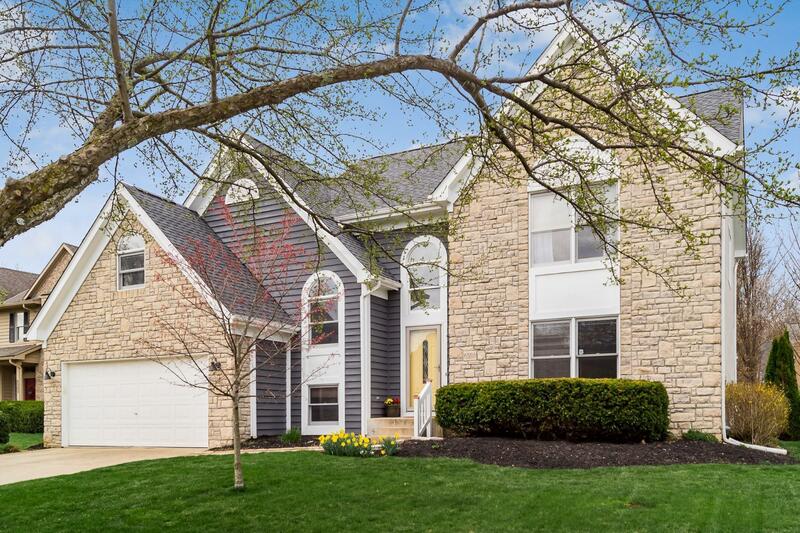 Surrounded by the ML ''Red'' Tribe Nature Preserve and located on a quiet cut-de-sac in Lowell Trace, this home features hardwood floors throughout most of the first floor and all of the bedrooms. High grade granite graces the updated kitchen, perfect for the serious cook, with Kitchen Aid SS appliances and large single bowl sink. The bay window eating area leads you to the 2 story family room with floor to ceiling stone fireplace. Off the family room find your place to relax on the large screened in porch overlooking a beautiful backyard. Upstairs you'll find a large master & master bath plus 3 bedrooms and another full bath. Karrer MS is just .3 mi down the road & Jerome HS and Scottish Corners are the home schools for this property. Well maintained w/ newer mechanicals and a new roof!